Congratulations to the makers of the animated short "Home Sweet Home". The short animation film has been selected for the animation category of The London International Student Film Festival, taking place at the Close Up Film Centre in Shoreditch on Thursday 11th April at 6pm. The LISFF is an annual film festival that takes place in London, and aims to provide a showcase for new filmmakers’ work. 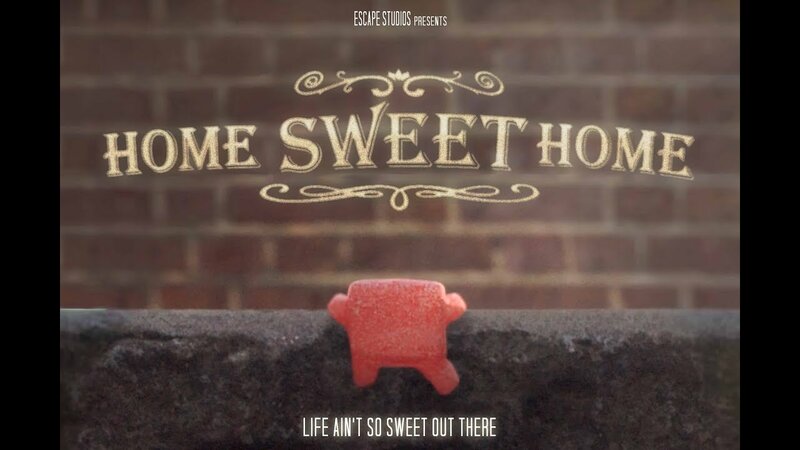 Home Sweet Home is a short film about friendship and family, in which a group of discarded sweets must try to get back to their sweet shop home. Directed by 3rd year undergraduate animator Maria Robertson, this film was a collaboration between three departments: Animation, 3D VFX, and Compositing, in which all of our students pulled together to deliver a strong piece of work, showing what can be achieved when students collaborate successfully on group projects. Interested in studying an undergraduate degree at Escape Studios? Find out more about our degrees in Animation, Visual Effects and Game Art. Education powered by industry experience and built by the best industry minds. Escape Studios are pioneering the next wave of visual effects artists, animators and game developers by transforming higher education. With industry engagement at its core, Escape Studios’ approach to industry-focused learning, is what sets it apart from the rest. Escape harnesses the expertise and relentless creativity of award-winning artists. Students are taught by well-connected industry experts that have worked on the likes of The Dark Knight, the Lion King and Harry Potter, plus games for multiple PlayStation titles; tapping into real insight built from years of experience in the creative industries. This is also harnessed through an industry-led Advisory Board, bringing together talent from the top studios in the sector, including Framestore, MPC, Cinesite, Double Negative, Dreamworks Animation and Sony Computer Entertainment Europe, to design, develop and deliver programmes. Escape’s 4000+ alumni (dubbed ‘Escapees’) include BAFTA and Oscar winners; they’ve worked on VFX blockbusters like Fantastic Beasts and Where to Find Them, The Jungle Book, Dr Strange, Rogue One: A Star Wars Story, Captain America: Civil War, Star Wars: The Force Awakens, Ex Machina,Interstellar and Gravity. They’ve also worked on bestselling games (Assassin’s Creed and Forza Horizon), award winning adverts, and some have even set-up their own studios.